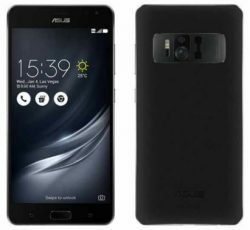 Asus Zenfone AR ZS571KL: Asus has been announced the new smartphones Zenfone AR. The phone will be launch at the end of January 2017. However, this is the world first Android Smartphone with 8GB of RAM. Asus Zenfone AR is the world first Tango-enabled and daydreams ready smartphone running Android Nougat 7.0. However, Lenovo Phab 2 Pro is also using Tango technology. So If you have not ever heard about Tango, then let me tell about that, Tango augmented technology helps you to interact with the objects that have in the world. Tango is an application software made by the giant company Google. You will get the new experience with this technology. You can also enjoy the entertainment opportunities with this phone. 1 How to Buy Asus Zenfone AR From Flipkart, Amazon and Snapdeal? How to Buy Asus Zenfone AR From Flipkart, Amazon and Snapdeal? Asus Zenfone AR will be available at the end of this month January 2017. We will update the date of launching, so stay connected with us. You will get the phone online as well as offline. This phone might be available in Flipkart, Amazon, and Snapdeal stores. So, here I am talking about the phone specifications, features, other variants, approx price. The price of Asus Zenfone AR has not been announced. But the expected price of Asus Zenfone AR is around Rs. 35000-39000. This phone has four variants according to their official specifications. So the variants are 6GB and 8GB RAM and internal storage UFS 2.0 32GB / 64GB / 128GB / 256GB. So that’s mean the phone will come in 4 variants Asus Zenfone AR 32GB, 64GB, 128GB and 256GB. Also, You will also get 5GB free ASUS Web Storage for the lifetime and 100GB Google Drive space for two years. Available Colour: The phone colour is Charcoal Black with Premium-crafted metallic diamond-cut and looks like leather finishing. SIM and network: It’s a dual SIM(Nano) supported the phone. Both slots support 3G and 4G network at a time. Supported network WCDMA, LTE, VoLTE, UMTS, TD-SCDMA, TDD-LTE, FDD-LTE. Processor: Asus Zenfone AR comes up with the processor Qualcomm Snapdragon 821(MSM8996 ) Quad-core 2.35Ghz. The phone has inbuilt Adreno 530 GPU. OS (Operating System): The phone is running on Android Nought 7.0 with ASUS custom ZenUI 3.0. RAM: 6GB / 8GB LPDDR4 and UFS 2.0 32GB / 64GB / 128GB / 256GB. You can expand the storage up to 2TB with Micro SD(SDXC). Display: The phone has 5.7inch WQHD Super AMOLED (2560 x 1440) with Corning Gorilla Glass4 (Super Anti-Scratch). Also, It has the Bluelight Filter feature for Eye care and has the tru2life technology. It has ultra-smooth graphics, WQHD Super AMOLED shows, and the sensors can track head movement. Touch: It supports 10-finger capacitive touch and gloves touch for the quiet gaming experience. Camera: Asus Zenfone AR has 23MP rear Camera with 6 P Largan lens and f/2.0 aperture. Even you can take a macro image with the high-resolution camera. It has ultra-fast focus system 0.03sec and 2nd gen Laser, Continuous AF, Auto Face detection. Even the camera sensor lets correct the colour automatically, and you will get the best white balance easily. Other features of camera Blue Glass IR Filter, LED flash, Dual LED toe to flash and zero shutter lag. 8MP front Camera lets you take selfies with selfie mode. The front camera also has f/2.0 aperture, Dual-LED tone flash, 85˚ wide-viewing angle. Sensors: Fingerprint, Accelerator, Ambient light sensor, Gyroscope, E-Compass, RGB sensor, Proximity sensor, Barometer, Hall sensor, IR sensor (Laser Focus). Battery: The phone supports quick charge 3.0, PowerDelivery 2.0 functionality and comes up with 3300mAh (non-removable) battery. You can charge 60% battery capacity within 30 minutes(18W). Sonic Master 3.0: Fascinate your ears, inside and out with the technology Sonic Master 3.0. With this technology, you will get the outstanding audio performance. The five magnet speakers let gives you 140% louder sound, more quality, and effects. Design: The design of the Asus Zenfone AR is subtle with touches of traditional skill. The phone comes with advanced new technology in an outstanding design. The phone has a burnished-leather rear surface with the precision-milled metal frame. The phone has three rear cameras. 1st camera 23MP high resolution, a 2nd camera for motion tracking and 3rd rear camera for depth sensing. By using this feature, you can create a three-dimensional model and track the movement. Asus ZenFone AR motion tracking camera can track its location. As I said earlier; the phone has a depth-sensing camera with an infrared projector. So this features lets helps you to measure the distance of the object. You can see the virtual objects in the real environment with the HD 23MP rear camera in detail. So here I have shared all specifications and features of this phone. Though this phone comes with the latest technology like Google daydream features, tango augmented technology, TriCam System, motion tracking, depth sensing. So, this is a good phone for 2017, and let’s see how much of that comes at a price. If you have any query regarding Asus Zenfone AR, then do let me know via commenting below. Keep visiting Recharge Addict.